The Bourbon dynasty is regularly attacked by the left-wing liberals, especially the Spanish Socialist Workers Party. Its members are descendants of those who lost in the Civil War, fighting for the Republic. The Socialists introduced the question of abolishing the monarchy in the country at the next congress. However, the social survey, conducted exactly at the same time, showed that society is unlikely to support the initiative of left-wing liberals and globalists. Almost 62 percent of respondents believe that it is necessary to preserve Spain in the form of a parliamentary monarchy. Slightly more than 25 percent favored the transformation of the country into a parliamentary republic, and about 13 percent of respondents preferred not to say their opinion. If we talk about the role of the Spanish king today, according to the Constitution, the monarch signs on the decrees and laws that the government and Parliament adopt. The king does not act with legislative initiatives, does not introduce amendments, but without his signature, although formal, no norm is considered valid. According to the results of the same survey, slightly less than 60 percent of Spaniards believe that the king should continue to "reign, but do not rule", and 31.1 percent believe that the sphere of competence of Philip VI should be expanded. It is noteworthy that the overwhelming majority - more than 70 percent of the citizens estimate the activity of the current monarch at his post as "good or very good." It is important to understand that the monarchical tradition in Spain was interrupted, but the heir to the throne remained alive - this provided the comparative ease of its restoration. After the victory in the Civil War, Franco prepared the elites and the people for the return of the monarchy. 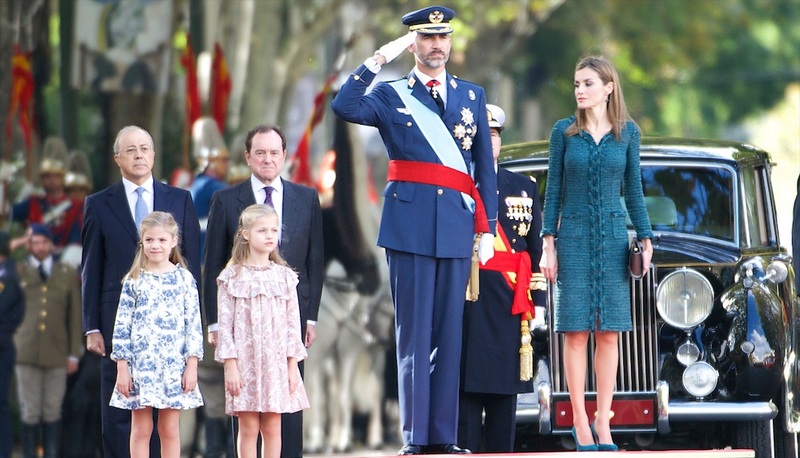 He personally participated in the upbringing of the future monarch - Juan Carlos I. He talked with the young prince for a long time, followed his training, read books to him, attended church services with him, instructed him to lead the nation. However, after the death of Franco and the accession to the throne, Juan Carlos I, unfortunately, could not fully keep the spiritual and moral traditions. Spain by this time was already, in fact, an occupied by globalists country. As a result, we can witness systematic abandonment of tradition, European integration, Sodomite marriages and legalization of drugs. But, apparently, deep in the soul of the Spanish people still live the desire for justice and truth, the protection of which can be fully provided only by a real monarch. Spain: Does anybody know what to do?